Somebody’s gonna get a beautiful surprise. 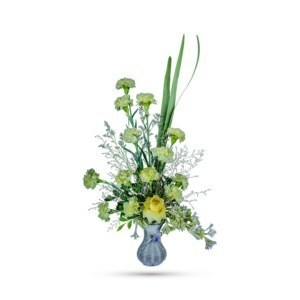 Imagine his/her smile when our lovely bouquet, Radiant Devotion, arrives at their doorstep – for no special reason at all. Except that you love and respect them. This charming bouquet includes red roses accented with white carnations and seasonal garden-fresh greens along with a little touch of blue. 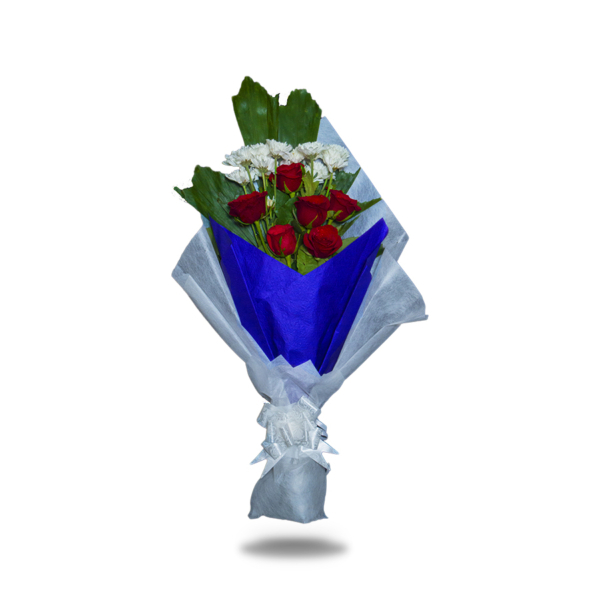 This radiant arrangement is wrapped in a sophisticated navy blue wrap along with a white wrap over it, which is topped off with white ribbons tied at the bottom. 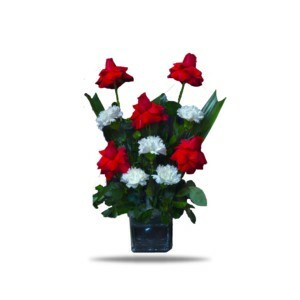 Bursts of bright red and white flowers bring instant smiles. 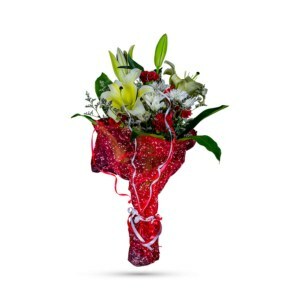 It is the perfect bouquet to express love to your mother, to your grandparents or anyone. 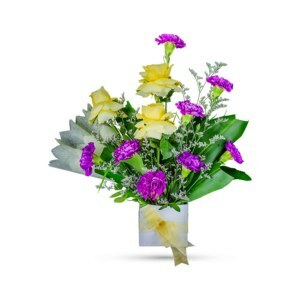 Order it online today to get it delivered at your preferred location on the perfect day. Radiant Devotion will be sure to enchant anyone with its soft sophistication.